Placemaking continues to grow nationwide, in municipalities like Oviedo, Fla.; Raleigh, N.C.; and Savannah, Ga. — and even on an international scale, from South Korea to Canada and the United Arab Emirates. While not a new concept, placemaking encourages municipal officials, designers, planners and engineers to broaden their views on what makes a good public space. The concept is a “multi-faceted approach to the planning, design and management of public spaces,” according to Project for Public Spaces’ website. It focuses on community needs and opening a dialogue between stakeholders, including designers/engineers, municipal officials and community members. The goal is simple: highlight a community’s values and assets and build a place people want to use, not a space plagued by traffic-dominated streets, isolated and inaccessible parks or other common design problems. 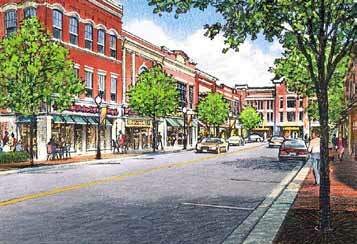 Good placemaking attracts businesses to a community and improves municipalities’ economies. Placemaking capitalizes on local assets, inspirations and potential and seeks to create public spaces that promote health, happiness and well-being. 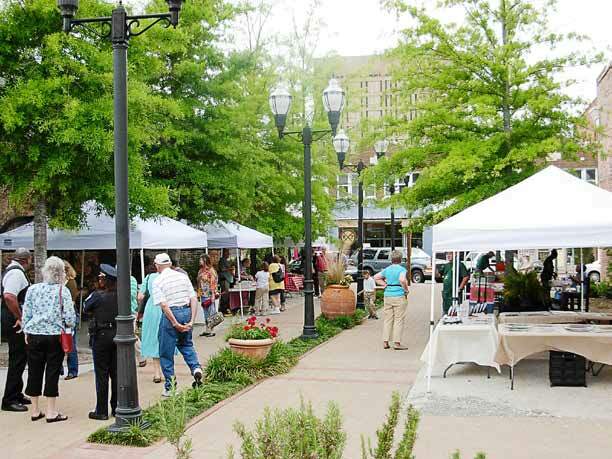 The projects are as diverse as the communities that complete them: creating a new or revamped farmer’s market or park; improving accessibility with new trails, connectors or pedestrian overpasses; repurposing old structures for civic centers; revitalizing downtowns; or creating social hubs with squares and plazas. South Carolina requires municipalities, through its Local Government Comprehensive Planning Enabling Act of 1994, to create a comprehensive city plan that must be updated every 10 years. As municipalities face this task, many are choosing to incorporate placemaking ideas. Florence, S.C., had a comprehensive plan in place in 1994 — before consolidating its planning department with Florence County’s in 1997 after a county-wide plan was implemented. But at the 10-year anniversary of the county-wide plan, Florence pulled out and started a new city planning department in addition to rewriting its comprehensive plan. Public participation was important to the process. “We wanted a plan generated by the community,” said Phillip Lookadoo, director of Florence Planning, Research and Development. The city held a series of stakeholder meetings that incorporated business, faith-based and recreational groups, among other parties. There were also four public input sessions, plus a presentation of the plan before it was brought to the planning commission. To get word out, the city placed notifications on water bills, radio stations, newspapers — anything to get people to attend. Officials looked at the city’s current appearance, particularly its neighborhoods and corridors, and focused on Florence’s character. They then began work to create a unified development ordinance that would be based on community character rather than the traditional land use-based ordinances. Lookadoo explained community character-styled ordinances “deal with how each use fits with the other adjacent uses and buildings.” The new approach allows for a multi-dimensional look at uses with the ordinance capable of determining required buffering and lighting based on use. The city also revived neighborhood planning, focusing on four areas: North Florence, Northwest Florence, East Florence and its downtown. Public engagement was encouraged with a neighborhood kick-off meeting presentation, introducing area residents to neighborhood planning. The city also updated its downtown’s revitalization plan, made investments in civic buildings downtown and produced a design guideline for downtown Florence. Florence Downtown Development Corporation, a nonprofit organization, has helped foster the revitalization of downtown Florence by partnering with the city to complete studies and plans, creating a National Register Historic District, acquiring underused property for redevelopment and more. Progress facilitated by the FDDC includes securing 150,000 square-feet of underused space for redevelopment, obtaining $1 million in funding for streetscape and beautification projects, and more. Cities need to open up communications prior to formulating a comprehensive plan, Lookadoo said. “You need to know a lot of the issues that are within your town. Writing a plan is a lot more about the process than the actual plan. You’ve got to know the community well and get citizens to meetings for input. Use every means necessary to get as many people to come to meetings.